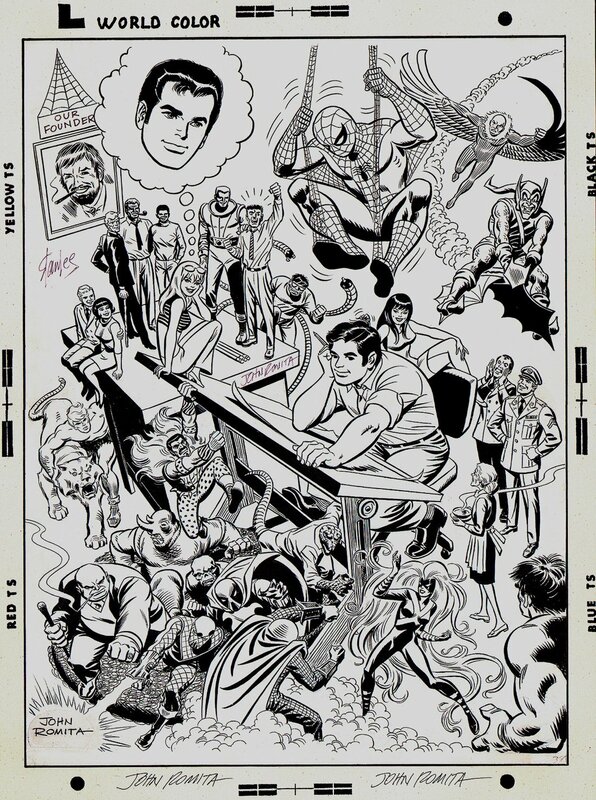 Romitaman Original Comic Book Art :: Private Collection :: Marvel Mania John Romita Self Portrait Poster Art! (1969) SOLD SOLD SOLD! by artist John Romita Sr. This piece must be seen to be believed! The GREATEST single Spiderman image ever drawn by ANY Spider-Man artist in my opinion! Nearly EVERY single villain and Friend of Spider-Man from his VERY first appearance in Amazing Fantasy #15 all the way to 1969, when this stunning large piece was drawn! WOW!